River Oak Outdoors – A custom woodworking shop with the sportsman in mind. Whether it is a custom gun cabinet, a display case for your collectible calls and decoys, or a piece of furniture for your taxidermy mounts, we can create it all. A custom woodworking shop with the sportsman in mind. My name is Craig Wilson, owner of River Oak Outdoors. 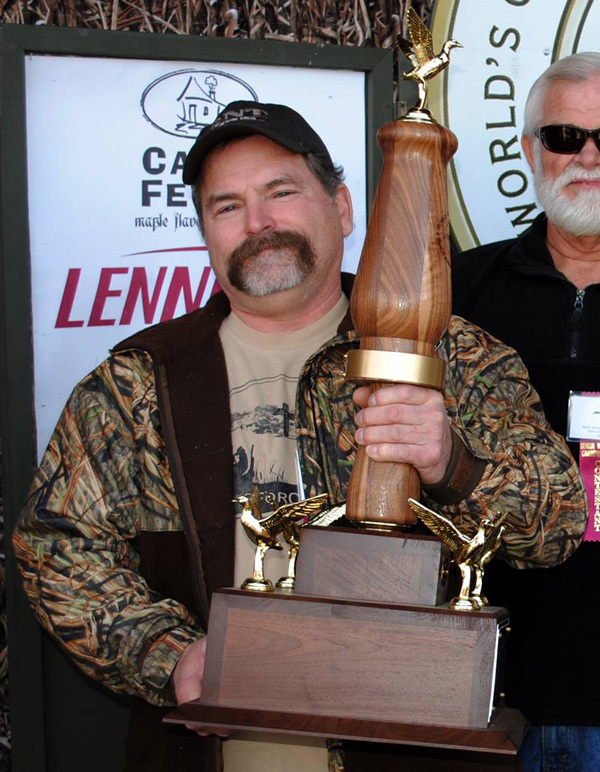 We are a custom woodworking shop exclusively for the sportsman. Whether it is a custom gun cabinet, a display case for your collectible calls and decoys, or a piece of furniture for your taxidermy mounts, we can create it all. Our passion is to create functional furniture pieces that showcase your sportsman heritage. Working hand in hand with our clients from concept to completion, we take pride in handcrafting furniture tailored to you specific needs. A quality hardwood piece of furniture from River Oak Outdoors will truly be passed down for generations. Just as the memories of the hunt will be passed along…so will your heirlooms. 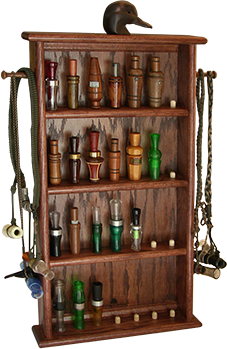 River Oak Outdoors creates duck call display cases and stands designed for serious waterfowlers, call collectors and call makers. We offer models to display that one precious call or your entire collection. Some of our designs include simple hardwood shelves to keep calls handy, while others are elaborate wall cases intended to protect all of your prized calls. River Oak Outdoors also caters to custom call makers in designing functional travel cases and displays to showcase your calls. We're available to assist you Monday - Friday from 8am-6pm Pacific Standard Time. We look forward to hearing from you.